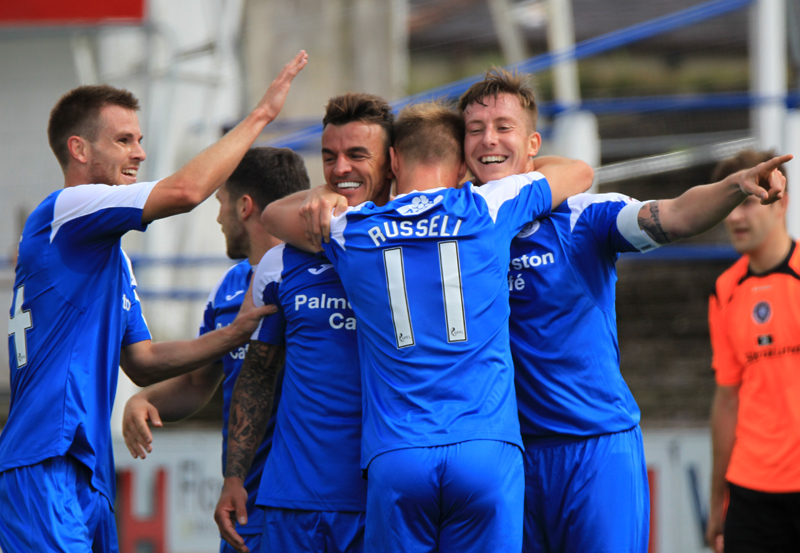 A new look Queens side began their 2015-16 campaign with a 2-0 victory over South West rivals, Stranraer, in this afternoon`s Petrofac Training Cup 1st round game at Palmerston. The hosts led at the break courtesy of a Derek Lyle header, and although there were a few opportunities for both teams to add to the scoreline, it took until the final minute of the contest before Queens could confirm their passage into the 2nd round as Ryan Conroy netted with a superbly taken free-kick. This time last season Queens were sent crashing out of the Petrofac Training cup at the first attempt, and with numerous players both coming and going over the Summer period, Andy Dowie, and Lewis Kidd, were the only players who played in that game who started against Stranraer today as Queens gave competitive debuts to Robbie Thomson, Jordan Marshall, Kyle Jacobs, Dale Hilson, and there was also a first start for Ryan Conroy as an `official` Queens player. Also included in the squad were trialists, Kyle Hutton, and Paul Heffernan.The visitors, managed by former Queens favourite, Brian Reid had also seen several players both join and leave the club during the close season, and they included Scot Robertson, and Stephen Bell - both former Queens players, in their line-up. A fairly decent crowd of 1229 watched on as Queens lined up in a conventional 4-4-2 and attacked the Terregles Street end in the first half, but it was the visiting League One side who made the better start to the game, and just 3 minutes in they should really have opened the scoring. After winning the game`s first corner, the ball was driven to the far post and fortunately for the hosts, the unmarked Bell smashed his effort wide of the target when a more composed finish might well have caused a problem for Queens `keeper Thomson. Moments later Stranraer threatened again. After being caught out of position young defender, Jordan Marshall was slightly over eager to make up for his mistake and his resulting challenge right on the edge of the penalty area - which saw him booked - offered the visitors a very presentable shooting opportunity, but their training ground set-piece routine went wrong, as Queens were able to firstly block, and then clear the ball from their penalty box. Stranraer were well organised, and were making it hard for Queens to pass through them, and as a result the ball over the top aimed to utilise the pace of Dale Hilson was attempted on several occasions during the first fifteen minutes, and one such pass from Dowie found the head of Hilson and his neat flick set up a shooting chance for Derek Lyle but the striker was well off target with his effort. It had taken Queens a while to settle into the game, but on 16 minutes they almost took the lead. 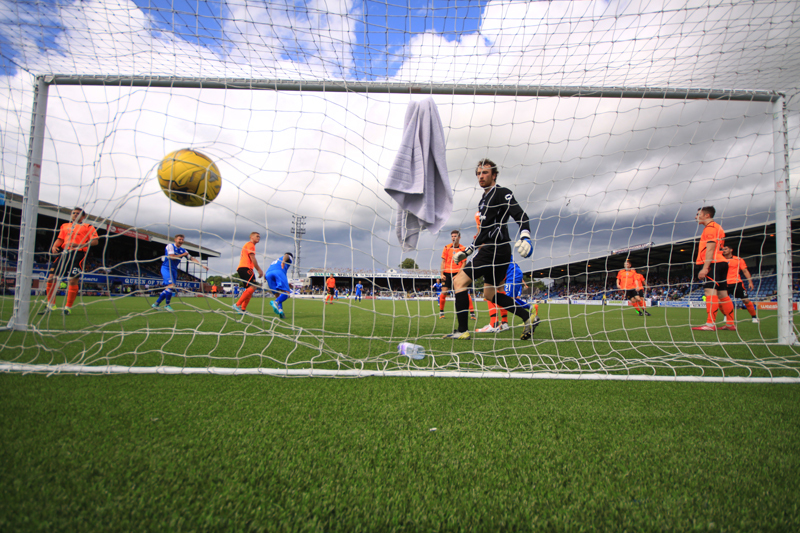 Iain Russell was brought down on the left, and from Mark Millar`s inviting delivery, Lyle rose highest of all to send a header towards the far corner but on-loan Kilmarnock `keeper Conor Brennan reacted well to turn the ball away for Queens` first corner. Millar`s set-piece was met by a powerful header from Kyle Jacobs that wasn`t very far away from finding the net. The hosts won another corner moments later, and although Conroy`s delivery from the left was repelled, on 20 minutes corner number three produced a better result for Queens as they opened the scoring. Collecting the ball in left midfield, Conroy`s delightfully weighted ball almost picked out the run of Jacobs and it needed a well timed challenge by Pettigrew to clear the ball for a corner. Conroy`s accuracy was once again perfect as he picked out Dowie at the back post, and his header back across goal was nodded home from close range by Derek Lyle who was on hand to open his account for the season. Just two minutes later, Queens had a chance to go further ahead when following a corner, skipper Chris Higgins found himself on the right wing. His cross to the far post fell nicely for Russell to hit a shot on the volley, but from a fairly tight angle his effort went wide. Russell was soon involved again, this time however it was with the referee, as whistler Madden produced a yellow card for the Queens man presumably for something he said. Youngster Marshall had settled well after his earlier booking and his strong run and cross found Lyle who in turn set up a shooting chance for Hilson, but he hurried his attempt and it flew over the bar. It was mostly one way traffic at this point with Queens creating most of the chances, and not long before the interval there were strong claims from the home side for a penalty. After being sent clear by Conroy, Lyle raced into the penalty area and after checking to cut back inside the chasing defender it did appear that Lyle was caught, however, referee Madden waved play on and Stranraer were able to clear the ball to safety. 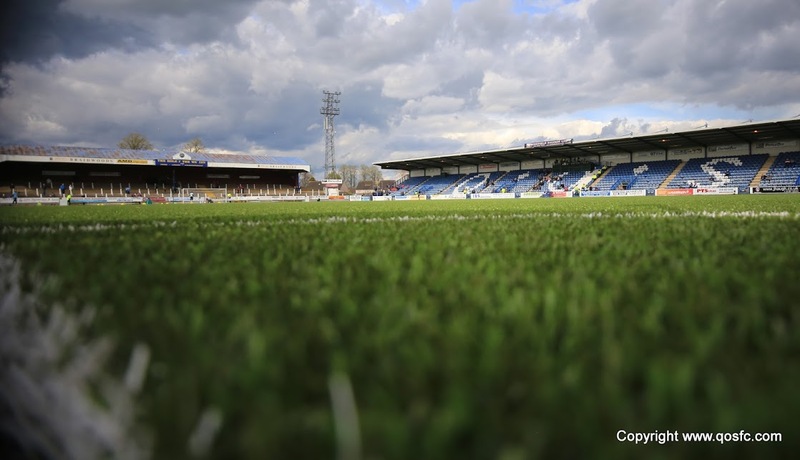 As the half ended, the visitors at last made some forays into the Queens half, although the option by Thomson to shoot from 35 yards out didn`t go down to well with either the Stranraer boss, or his assistant, Lee Mair. The last action of the half saw the visitors win a free-kick some 22 yards from goal, but once again from a good position the opportunity was wasted as Cairney drove his effort straight into the Queens defensive wall. 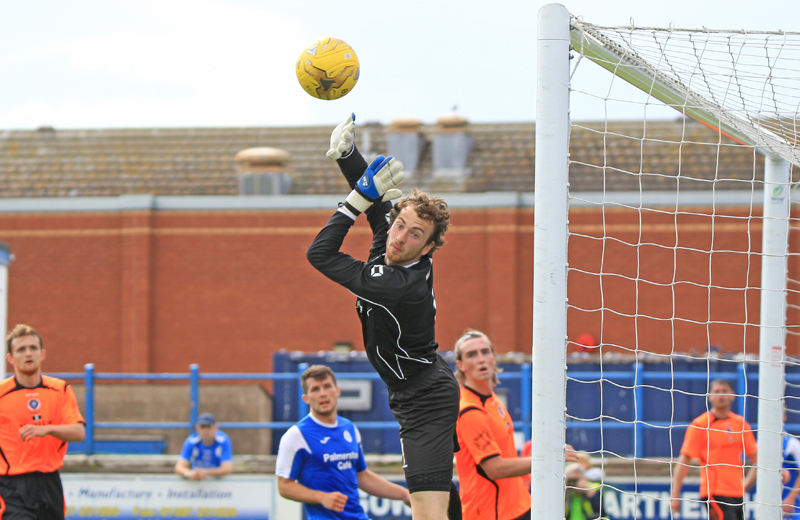 Queens began the 2nd period on the front foot and an early corner from Millar had `keeper Brennan scrambling to keep out Russell`s close range effort as the home side searched for the comfort of a second goal. It`s very early yet, but there are some signs that Conroy and Millar seem to be linking up well, and with the energetic Jacobs alongside them,Queens have a good balance across the middle of the park. Last season Queens scored their fair share of goals from set plays, and once again they appear to have plenty of options at their disposal. Conroy`s inswinging delivery from corner number 6 was headed clear for another corner from the other side, and this time Millar picked out the run of Jacobs who was unlucky to see his header just clear the bar. After spending the opening minutes of the half on the defensive, Stranraer finally launched a counter attack and the pace of striker McGuigan saw him get in behind the home defence after a run down the left, but from an almost impossible angle, and with no support available his sliced shot across goal ended up going out for a throw-in. Boosted by that attack, the visitors went close to drawing level. A free kick delivered in well by the tidy Stirling was met by Rumsby but he could not keep his header on target. On the hour mark Conroy`s delicate `chip` just wouldn`t fall for Hilson, and as the play continued Millar worked some space to create a shooting opportunity for himself, but accuracy deserted him as his shot from the edge of the box went wide. 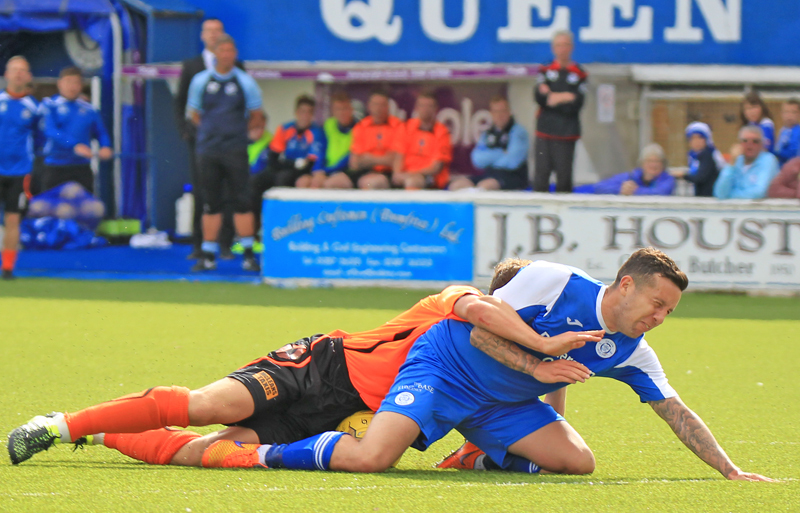 With just the single goal between the sides, finding a second was proving to be tough for Queens as they tried to carve an opening against a well organised Stranraer. In fact it was the visitors who went close to adding to the score with 20 minutes to go when RyanThomson got his head to a deflected cross but somehow managed to guide his effort up and over the crossbar from very close range. That was a big let off for Queens who responded straight away with a quick counter attack led by Iain Russell`s lung bursting run - a run that was only halted illegally by a challenge from Bell that saw the Stranraer captain booked. From a good position and with Conroy looking the most likely candidate to take the free-kick, Millar strode forward but could only hit the free-kick straight into the wall. Another chance soon followed for Queens as one of the best moves of the game almost proved fruitful when Marshall and Russell exchanged passes down the left, the youngster did exceptionally well to pick out Conroy 14 yards out and although it was pretty much straight at the `keeper, Brennan still had to make the save. Queens made their first change with 10 minutes left as Scott Hooper replaced goalscorer Lyle and they also switched to a 4-2-3-1 formation with Hilson playing as the lone striker. The visitors had one final chance to take something from the game when they were awarded a free-kick after a foul by Lewis Kidd, but once again from a dangerous position the set-piece cannoned off the Queens wall and the chance had gone. Almost instantly Queens made sure of the win. A quick breakaway saw Hilson get the better of the covering defender and as he raced clear he became aware of Ryan Conroy`s supporting run on his left. In truth, Hilson`s pass wasn`t the best but Conroy just about collected it before Rumsby`s over aggressive challenge sent him crashing to the ground 4 yards outside the box. A definate foul, and a certain booking, and an excellent chance for free kick specialist Conroy. So with the wall in place, the `keeper in position, and the crowd expecting, Ryan Conroy curled his shot around the wall and into the bottom corner with deadly accuracy to provide the game with it`s only real moment of quality. That was Conroy`s last involvement as he was replaced by Jake Pickard, and for the last seconds, Aidan Smith replaced Iain Russell. There was no doubt that Queens deserved to win, and Conroy`s goal was classy, but Stranraer were difficult opponents and on another day the outcome could have been much different, but it is Queens who progress to the next round of the Petrofac Training Cup after what was at times, a bit of a struggle. 14:27 Welcome back to Palmerston Park. 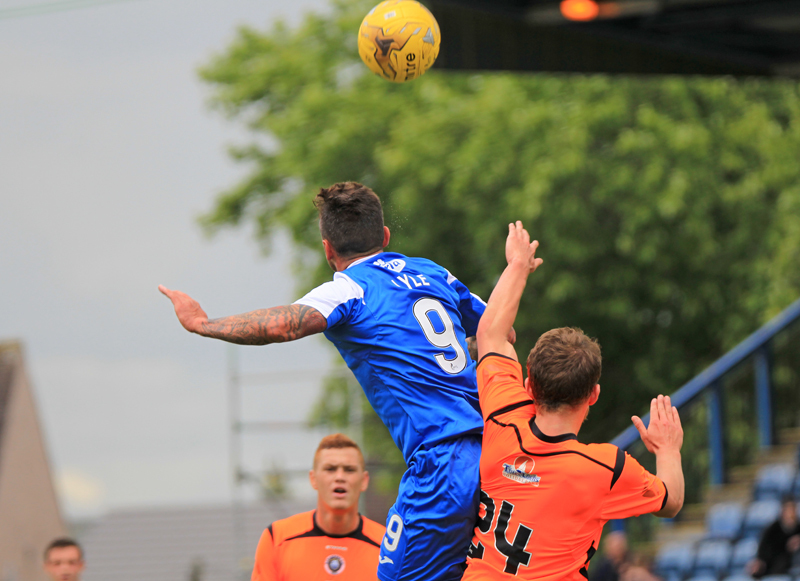 Queen of the South host Stranraer in the first round of Petrofac Training Cup. Team line-ups to follow. 14:31 Queens Team: Thomson, Kidd, Dowie, Higgins, Millar, Lyle, Conroy, Russell, Jacobs, Hilson, Marshall. 14:33 Queens Substitutes; Atkinson, Hooper, Pickard, Heffernan (T), Rutherford,Hutton (T),Smith. 14:44 Referee for today`s game is Bobby Madden. Assistant Referees are John McCrossan and Colin McDonald. 49 min 48.A deep corner from Millar finds Iain Russell at the back post but his shot is saved by Brennan. 53 min 52. Millar`s corner finds Jacobs but is header goes over the bar. 68 min 67. Stranraer again go close but Thomson headed over from two yards out. 72 min Former Queens man Bell brings down Russell just outside the box and picks up a yellow card. 75 min 75. A good ball from Marshall finds Conroy but his shot is saved by the goalkeeper. 90 min 89. Rumsby booked for his trip on Conroy. 90+1 min A superb free-kick from the edge of the box from Ryan Conroy wraps up the victory for Queens. 16:51 Queens are through to the second round of the Petrofac Training Cup after a 2-0 victory against Stranraer. 16:52 Goals from Derek Lyle and Ryan Conroy make sure Queens are in the hat for the next round.